El Rancho Mañana, Minnesota - The Minnesota Bluegrass & Old-Time Music Festival has been nominated three times as Event of the Year by the IBMA in Nashville. It is a four day music and camping festival that includes thirty hours of Mainstage concerts; plus daytime instrument collaborations and nightly dances in The Showcase Tent; music, contests, crafts, and games in The Family Area; twenty hands-on bluegrass music workshops in the Workshop Area; new groups on the Young Talent Stage; and dozens of food and merchant booths in the Marketplace Area. New Richmond, Quebec -- The New Richmond Bluegrass Festival held in Quebec, Canada is pleased to announce its 2013 lineup which will include Doyle Lawson and Quicksilver, Junior Sisk and Ramblers Choice, Special Consensus and Ray Legere and Acoustic Horizon. The week-long event will host its eleventh edition from August 25 to September 1. Nashville, TN -- Junior Sisk & Ramblers Choice will celebrate the release of their upcoming CD from Rebel Records, The Story of the Day that I Died, with a party at Two by Two in Rocky Mount, VA, on Sunday, April 7. The event starts at 3 p.m., and tickets are $10.00 (children under 10 are free). The Story of the Day that I Died was released on March 12, 2013, and the world premiere was held on Sirius XM's Bluegrass Junction in February. The CD's title track was written by Ashby Frank of The Likely Culprits and hit the radio airwaves in November. Nashville, TN -- The Society for the Preservation of Bluegrass Music of America (SPBGMA) Awards were the culmination of the annual convention held in Nashville Tennessee. Sunday evening, the awards ceremony took place to the delight of all those attending. 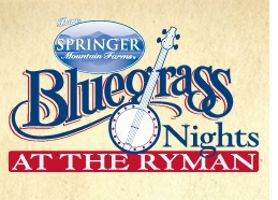 SPBGMA is a regular favorite events for bluegrass fans and artists alike. The awards are especially important because, unlike the IBMA, the votes for these awards come primarily from the fans and not professionals in the industry. The list of nominations includes the entire spectrum of bluegrass music artists. Charlottesville, VA -- Rebel Records is proud to announce the release of "The Story Of The Day That I Died", a brand new single from award winning bluegrass music artists Junior Sisk & Ramblers Choice. The new song is available to radio programmers today and the complete project, Story Of The Day That I Died, will be released March 12th. 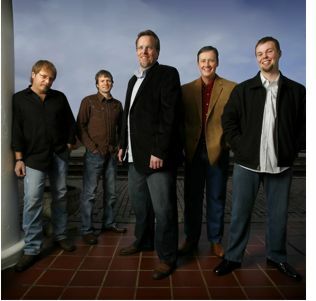 Junior Sisk & Ramblers Choice won the Song of the Year and the Album of the Year at the 2012 International Bluegrass Music Awards.